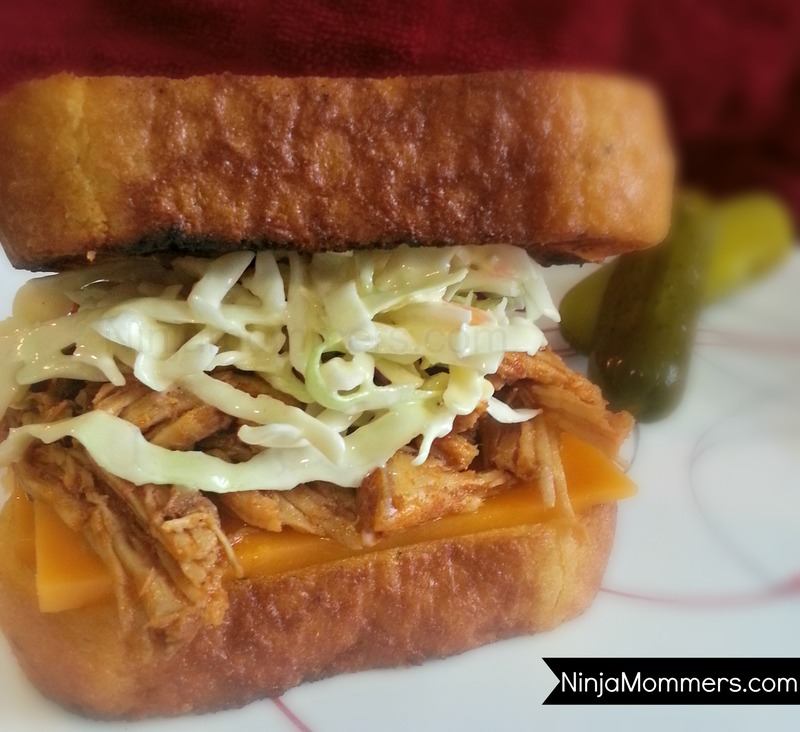 Are you searching for the Best Ever Slow Cooker Pulled Pork Recipe? Look no furthur. No really! Welcome to this week’s What’s For Dinner Wednesday! I have decided to change around the way I do What’s for Dinner Wednesdays! I am going to leave my old ways in the past and start with some new fresh ideas each week. I want to include pictures of every recipe I use for my What’s For Dinner Wednesday’s from now on, so that everyone gets a better idea of what they are working with! My first New What’s for Dinner Wednesday is a keeper, yes it is. The picture is worth a thousand words and we will get to that… but for now.. I top this amazingly moist pulled pork with my Best Ever Creamy Coleslaw! 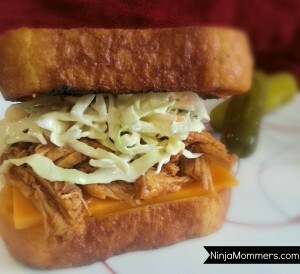 It is a MUST have for hubby and I to use to top our Pulled Pork. Sometimes I use both red and green cabbage, sometimes I just use green but no matter what, I always love the way it turns out! Super tasty! Mmmmm Right? I KNOW! So delicious. I also serve this all on top of a thick piece of homemade garlic texas toast… and just a secret, sometimes I stick some cheddar cheese on this bad boy… shhhh. 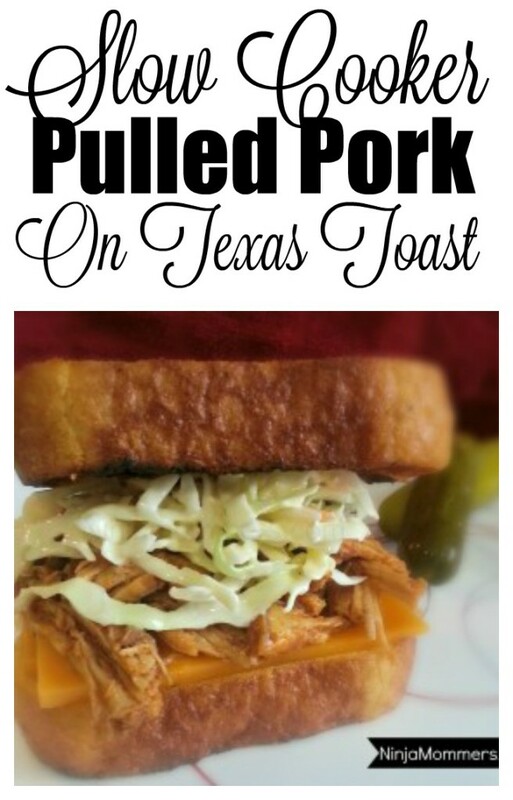 I know, I know… Garlic Texas Toast and pulled pork. No, No you DO NOT know. It’s actually amazing. AMAZING. It must have come to me in a dream, but it was an amazing idea. Now, hubby is totally in love with this idea and wants to eat it with the Garlic toast every time I make this. 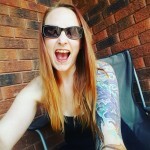 I am serious that I believe this is the BEST ever slow cooker pulled pork recipe I have ever tried. Does that NOT look super yummy to you? It sure does to me, and I sure can’t wait for left overs! A delicious, tender bed of slow cooked pulled pork, topped with a creamy coleslaw, nestled between two perfectly browned pieces of garlic toast. Mix together Red Pepper Flakes, Smoked Paprika, Fresh Ground Black Pepper, Salt, Garlic, Thyme and Oregano in a large bowl. Mix until blended. Add the liquids and mix until well blended into a paste, pour over roast. Let Cook on low for 6 hours. Remove roast from the slow cooker. Shred with a fork. Place roast back in slow cooker and stir to coat with sauce, allow to cook in sauce for another 1-2 hours. 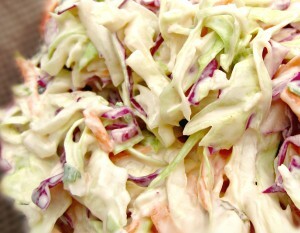 Place on Texas Toast , top with Creamy Coleslaw and Serve! Make sure you mix all the above listed ingredients into the butter until well blended and not clumpy. Spread over one side of Texas Toast and place on frying pan over medium heat. Cook until slightly browned and then flip over to brown the other side. Will you try this Best Ever Slow Cooker Pulled Pork Recipe?